Introducing the official sponsors of next year’s awards, who without their support, the awards couldn’t happen! Projected Image was established in 1999 to address the need for a reliable and affordable custom Gobo manufacturer. We are the UK and Europe’s premier Gobo manufacturing company and our reputation has quickly become synonymous with the highest standards finished products and excellent customer service. Our Gobos are manufactured in-house in our labs in the U.K. and we are 100% British owned and operated. Our dedication to service and providing leading edge products has made us a trusted and go to business name in the live event production industry, this includes everything from larger west end shows to weddings, parties and corporate branding for your business. Uniquely, we manufacture all of our products in-house. Our new purpose designed facility based in central Newcastle allows us to work efficiently and to very tight deadlines. Excellent communication links allow rapid delivery to all parts of the UK, Europe, the Middle East and beyond. 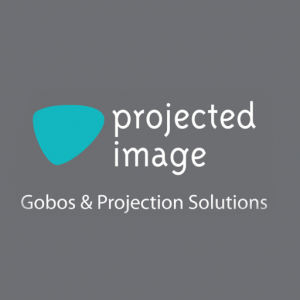 If you think you’d like to work with us please give us a call on 0191 265 9835 or email gobo@projectedimage.com to discuss your requirements.